Last week we began a four-part series in which we are unpacking each aspect of our mission and explaining how we are turning those words into actions. This week’s topic: empowering women. For us, the “W” in our name not only distinguishes us as an organization but also tells a story of socioeconomic progress for women across the globe. years we have been dedicated to eliminating racism, empowering women, and promoting peace, justice, freedom, and dignity for all. We do not do this alone. In fact, this mission is being pursued by a global network of empowerment pioneers. 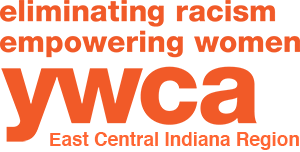 We want to emphasize what’s being done on a local level to empower women in the Muncie community. The programming we have in place at the YWCA is implemented specifically to help every woman we serve find her path to empowerment. Financial Literacy empowers women with the tools they need to manage their finances, fitness classes empower women to focus on self-care, and resident council gives them a voice regarding the services the organization provides. This is just a glimpse into the services that we offer to both the women we serve and the community as a whole. It has been 150 years, and we are only getting started. The measures we’ve taken thus far are the building blocks for a world where social justice exists for all. We encourage you to raise your voice and join us on our mission by engaging with us on social media, stopping by for a visit, or calling us at to chat at 765-284-3345. Be sure to check back next week as we discuss the fight to promote peace and justice. Stay tuned!